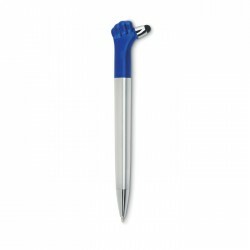 Get a grip on your next promotional campaign with branded stylus pens. 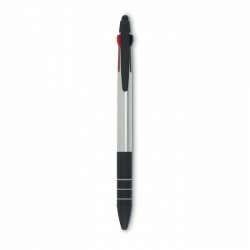 Multi-functional promotional stylus pens are popular hand-outs when it comes to branded merchandise. 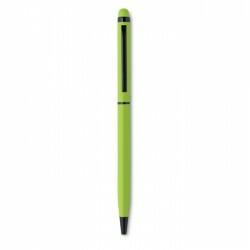 A pen that pulls double duty as both a writing implement and tech gadget is an inclusive means of building brand awareness. 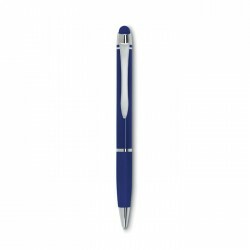 Customized pens have always carried a solid reputation and are one of the simplest ways to add instant brand awareness. 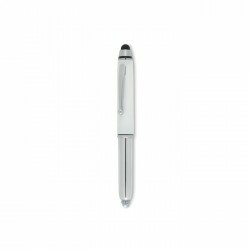 Whether your stylus pens are laid out for use at board meetings, placed at the front desk for customers, distributed at tradeshows or directly used by employees as they conduct business, a branded pen is a simple and affordable means to see to it that your company name is at the forefront of everyone's mind. Because they provide a dual-service, the function of a stylus pen offers a more significant use than the average pen, ensuring your brand will stand out. 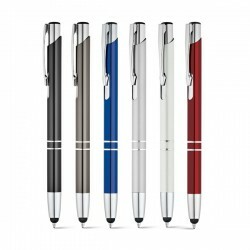 Pens have been the preferred marketing tool for years for a good reason. Promotional writing instruments are kept for an average of six months, and over this time, these writing tools are often passed from consumer to consumer, raising recognition in one of the most effective forms of passive brand awareness. Promotional products provide higher value than that of a business card alone and in turn instils a level of gratitude and camaraderie within the recipient. 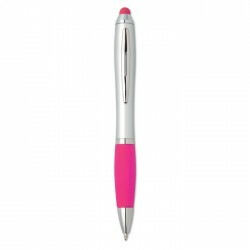 As such, one of the most effective means of connecting with consumers and business colleagues is by offering them a writing instrument branded with your contact information. This interaction makes for excellent brand retention. Trade shows, community events, company office parties and promotional giveaways are just a few of the ways to utilise your branded and promotional gifts. 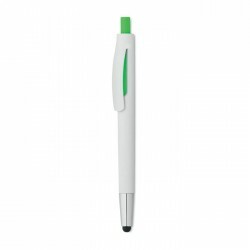 The stylus pen is one of the most functional corporate giveaways you can offer a potential client. These pens go above and beyond the call of duty. While putting pen to paper is hardly defunct, the modern consumer desires to equip themselves with the newest and most developed products. 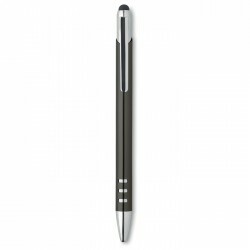 The appeal of a stylus pen is that they give users the best opportunity to maximise their devices. Whether your clients are more prone to handwritten notes or prefer to conduct business exclusively through the use of their smartphone, tablet or touchscreen laptop, the multifunctional use of a promotional stylus pen provides users with a personal choice. Whether your marketing campaign is geared up for a large-scale audience or tailored to a single event, you can order the volume you need with low minimum quantities that allow you to brand as many as a single unit. Our account managers are here to make sure your promotional requirements are met without any stress so you can focus your efforts where they needed best ─ your business. Get instant pricing on your promotional products. We know how busy you are and aim to provide a straightforward way to order your merchandise.